1:06 p.m., Nov. 22, 2011--J. Richard "Rich" Tucker, 71, of Greenville, Del., died Nov. 15, after a diagnosis of congestive heart failure. 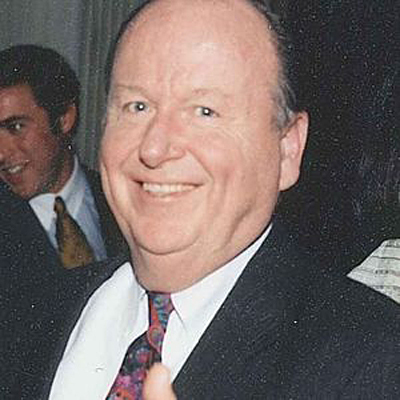 Mr. Tucker earned his bachelor's degree at the University of Delaware in 1962 and was serving as programming chair for the UD Class of 1962 Reunion Committee at the time of his death. Born in Wilmington, Del., he attended Archmere Academy and after graduating from UD earned a law degree at South Texas College of Law. During his career, Mr. Tucker worked for the Securities and Exchange Commission in the Division of Corporation Finance and as the assistant regional administrator in the Los Angeles, Calif., Regional Office. While living in Washington, D.C., he was the executive director of the D.C. office of the Securities Industry Association. Mr. Tucker was president and CEO of University Securities in Long Beach, Calif., and president and CEO of Sigma Investor Services in Greenville. While in Wilmington, he was a partner with Duane, Morris & Heckscher LLP, a partner with Reed Smith LLP, a shareholder with Greenberg Traurig LLP and director with Maron Marvel Bradley & Anderson P.A. He was an active member in his church communities serving in various roles. While in California, he was a member of the vestry and senior warden at Prince of Peace Episcopal Church. Through the years he taught, led and participated in programs for spiritual formation both at Christ Church Christiana Hundred and St. Peter's Church, Lewes, Del. He was currently serving on the vestry of Christ Church, Wilmington, Del. Recently, he worked on Diocesan Resource Consolidation efforts for the Episcopal bishop of Delaware. Mr. Tucker was active in the broader community and served for 12 years as past president and board member of Delaware Guidance Services for Children and Youth, the largest mental health provider for children and their families in the state of Delaware. He also served on the board of Affinity Wealth Management in Wilmington. A devoted husband, father and grandfather, Mr. Tucker is survived by his wife of 45 years, Barbara Graham Tucker; his daughter, Kayte Tucker of Wilmington, Del. ; his son R. Graham Tucker and his wife Diana of Berea, Ohio, and grandsons Ethan and Corbin Tucker. He is also survived by his sister Joan Fedorkowicz of Annapolis, Md. ; brother Michael F. Tucker of Wilmington and many nieces and nephews. Contributions may be made in his memory to Delaware Guidance Services for Children and Youth Inc., 1213 Delaware Ave., Wilmington, DE 19806. To leave online condolences, visit the Chandler Funeral Homes website.